Committed to playing a part in our community and ensuring we contribute to it positively. 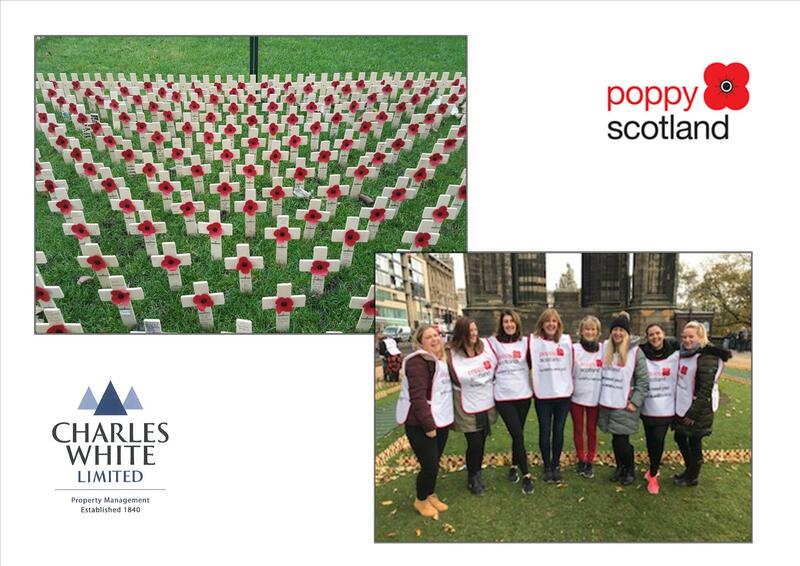 In October 2018 several staff had the opportunity to volunteer help set up, assist with public planting and of course collecting at the Poppyscotland Field and Garden of Remembrance and in stores around Edinburgh in what was such a poignant year. Over £23,000 was raised in and around Edinburgh this year. The Field, Garden and the Tree of Thanks looked amazing and the interest received from the general public was well received. When you see a “sea of crosses” that in itself is a poignant reminder, but when you plant each one and read the individual messages, it is both heart breaking and humbling. Thank you to Poppyscotland and all your amazing staff for a wonderful day and the opportunity to participate in this truly worthwhile event.